Pet Essentials Cat Scratcher & Climber. Natural sisal and wood are ideal for the cat scratching urge. Neutral color blends in perfectly with any decor. 30" high x 15 3/8" wide x 15 3/8" deep. Kitty City Cozy Cubby - It’s a castle fit for a kitty king and queen! Between the towers, dungeons and tunnels, your cat will have endless nooks and crannies to explore. And when it starts to get familiar?. Provides your cat with a cosy cubby for napping. We aim to resolve all the issues within 24 Hours. We are here to help you out. 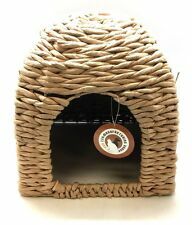 PetPals Cosmo Woven Water Hyacinth Cat House is an amazing cozy space for your kitty to curl up and lounge on a soft stylish pillow that is removable (pillow not included). These amazing Cat houses are Eco-friendly. It is suitable for both cats and kittens, and can be used for 1 to 6 cats playing. Made of comfortable and soft fabrics, this cat tree is a magic castle, park and cosy nest for your beloved cat. Keep the cat tree clean for your beloved cat. 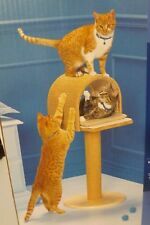 (WE ARE THE ORIGINATOR OF THE CAT TV FURNITURE. Beautiful Handmade Cat/Kitten Furniture. TV House design will impress your kitty and your friends :). Covering Material: Faux Fur Board Material: Pressed Wood. Exceptions to this are. The Fun New Cat Kitty Tree condo. Ideal for anyone who owns a cat or kitten. Saves your furniture from being clawed at. The Quality and Design will leave your cat busy for hours! Color: Green. daily basis. Kitty City Clubhouse - Its a castle fit for a kitty king and queen! Between the towers, dungeons and tunnels, your cat will have endless nooks and crannies to explore. And when it starts to get familiar?. Kitty City Garden Grotto - Its a castle fit for a kitty king and queen! Between the towers, dungeons and tunnels, your cat will have endless nooks and crannies to explore. And when it starts to get familiar?. Cater to your cat's love of nature with the Garden Grotto. • Cubby with Plush Pillow. 100% polyester fiber. Garden Grotto. Soft Plush Cat Scratcher Condo - 3 Level 70CM. 70cm tall. Height: 70cm. Soft plush covering. Featuring with 3 levels of hiding spots and a hanging ball, this would provide hours of fun for your cats to play with. Theweatherproof roof features two sections. One side is coated in robust asphalt, reliably protecting the Cat House with Sunroof from rain and acting as a great lookout platform in good weather. The other half is over the veranda, with a transparent plastic sunroof. At the very top there is a robust asphalt-coated roof that is just waiting to be climbed! This Penthouse Cat House is idealall year round, eitheroutdoors or inside. This luxury Penthouse Cat House is perfect for privileged pets! Iris Oyama Tsunemi BOX House It is a nail style BOX of a house type unique design. Asia, Middle East. Even if you think to yourself, "But the item I want is only available in Japan.". Unit Type: piece. Material: Fiber. This comfortable cat condo and scratcher combination is suitable for cats of all ages and activity levels. This comfortable cat condo and scratcher combination is suitable for cats of all ages and activity levels.A wonderful retreat for cats to play,explore,scratch or just relax. Taj Mahal is the best-known building in the world and arguably the most beautiful. And can you even imagine your cat living in it?. Well, now you can be witness to it in your own house! It will fit perfectly as if it is a picture in the room in all kinds of interior. Encourages cats natural catch behaviour. 1 Piece Paper Cat Tunnel. - Hide toys give your pet cat more fun. - Kraft paper wear-resistant and scratch resistant, can be used for kitty house. - Material: Kraft Paper. Encourages cats natural catch behaviour. - Hide toys give your pet cat more fun. 1 Piece Paper Cat Tunnel. - Material: Kraft Paper. - Kraft paper wear-resistant and scratch resistant, can be used for kitty house. Water repellent finish. It is a comfortable sleeping bed with a sense of stability that is easily attached firmly to a chair. Cat's Secret Base Brown stripe. The space under the chair can be used effectively, so you can widely use the room. Encourages cats natural catch behaviour. - Kraft paper wear-resistant and scratch resistant, can be used for kitty house. - Material: Kraft Paper. 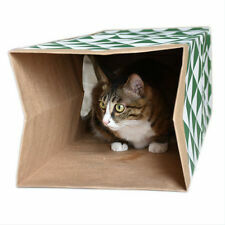 - Hide toys give your pet cat more fun. 1 Piece Paper Cat Tunnel. Encourages cats natural catch behaviour. 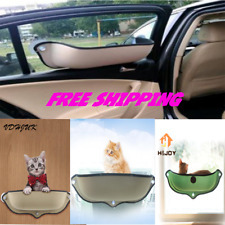 - Great gift for kitten. - Kraft paper wear-resistant and scratch resistant, can be used for kitty house. - Material: Kraft Paper. - Hide toys give your pet cat more fun. 1 Piece Paper Cat Tunnel. - Hide toys give your pet cat more fun. - Kraft paper wear-resistant and scratch resistant, can be used for kitty house. - Material: Kraft Paper. Due to the lighting effects, monitor settings, etc. Hammock Shelf Suction. High-grade P lastic Material. Easy to Assemble. Go Pet Club's 62" Tall Beige Cat Tree will keep your feline friend off your furniture. It also provides many perches and baskets for your cat to nap with the soft faux fur covering. Size of Top Perch : 13.25"W x 13.25"L x 2.75"H.
Lamp shade with base and cord included. We are here to help! Design lamp in paper. General Interest. PRODUCT : Santorini New Kingdom Cat Condo. Pls understand. If you received the wrong item, pls let us know. PRODUCT : Copenhagen New Bridge Cat Condo. Pls understand. Beautifully designed with fun activities for your cat to scratch, climb, jump. 1 x oxford cloth bed(installation accessory). - Detachable, easy to transport and install. -The color of the item may vary slightly due to photography and different PC monitor. Encourages cats natural catch behaviour. - Great gift for kitten. - Kraft paper wear-resistant and scratch resistant, can be used for kitty house. - Material: Kraft Paper. 1 Piece Paper Cat Tunnel. PRODUCT : Paris New Kingdom Cat Condo. Pls understand. If you received the wrong item, pls let us know. PRODUCT : Paris New Tower Cat Condo. Pls understand. If you received the wrong item, pls let us know. PRODUCT : Copenhagen New Tower Cat Condo. Pls understand. If you received the wrong item, pls let us know. PRODUCT : Santorini New Tower Cat Condo. Pls understand. If you received the wrong item, pls let us know. 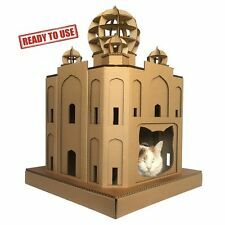 PRODUCT : Santorini New Palace Cat Condo. Pls understand. If you received the wrong item, pls let us know. PRODUCT : Copenhagen New Kingdom Cat Condo. Pls understand. If you received the wrong item, pls let us know. It is a fashionable BOX of a Cube type exclusive for cats. · Be sure to place it on a flat surface and do not place heavy objects on it. Even if you think to yourself, "But the item I want is only available in Japan.". Ahoy there mateys! Feast your eyes upon The Dead Man's Chest Cardboard Cat House: a cat bed made of mystery and lined with adventure. It will inspire your cat to seek new forms of fun and take feline exploits to a whole new level. PRODUCT : Santorini New Bridge Cat Condo. Pls understand.